Acid reflux is a common gastroenterology condition that makes eating and drinking even the most innocent foods and drinks a gamble. Usually after eating, acidic stomach contents travel back into the esophagus and cause what is commonly referred to as acid indigestion. People who suffer from acid reflux find it harder to enjoy normal mealtimes, as well as social situations such as going out to bars or restaurants. You should not suffer in silence if you have frequent episodes of acid reflux after eating or drinking. 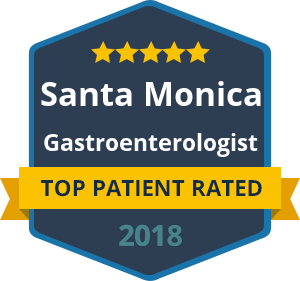 Dr. Yamini is a gastroenterologist who practices out of two offices in California, which are located in Santa Monica and Beverly Hills for patient convenience. The condition is treatable, so it is important to consult with Dr. Yamini for an official diagnosis and treatment options at his offices. What are the Symptoms and Causes of Acid Reflux? The symptoms of acid reflux may include bloating, the sensation of food stuck in the throat or pains in the lower part of the chest after eating or drinking. The condition may arise from a stomach abnormality such as a hiatal hernia. Obesity or certain foods and drinks may also trigger the condition. Acid reflux has similar symptoms to other gastrointestinal conditions, so it is important to pursue a diagnosis in any case. Treatment options will depend on the severity of your acid reflux and the underlying causes. In many instances, a secondary condition is diagnosed and treated, with the result of reducing or eliminating the symptoms of acid reflux. Dr. Yamini is well positioned in California to provide diagnosis, prevention and treatment of acid reflux and related conditions. If you are experiencing the symptoms of acid indigestion and want to find relief from pain and discomfort after eating, reach out to the offices of Dr. Yamini today.